Up until last year, I only knew the province of Bataan for its hiking trails. My "initiation climb" with an outdoor club was actually in Kairukan Falls in Morong, 16 years ago! 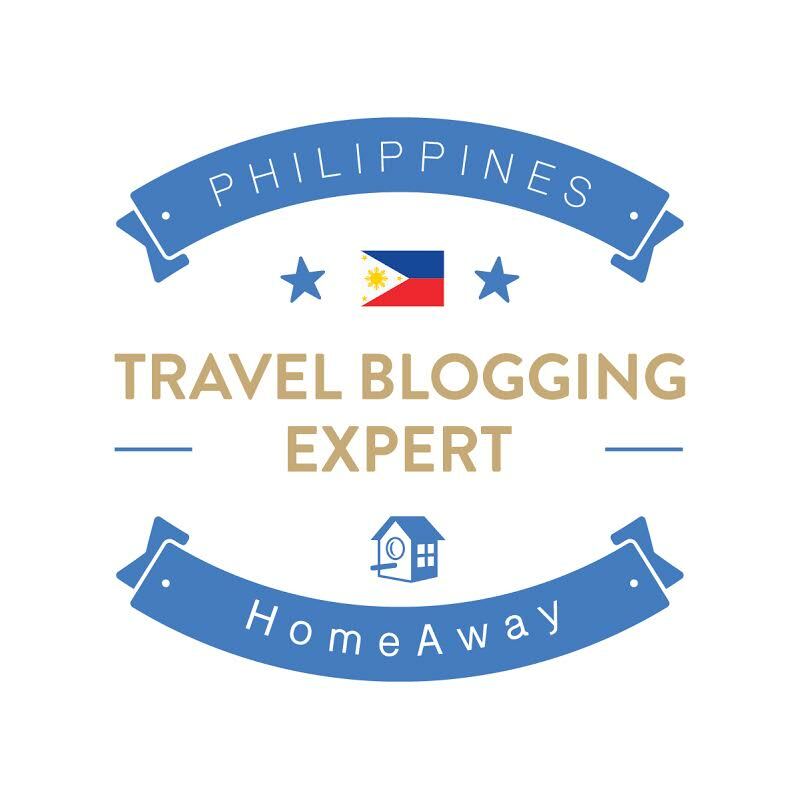 :) After a collaboration with Osprey Philippines and the provincial tourism of Bataan, I was introduced to other wonderful places in this province that made me realize how underrated of a destination it is, despite its proximity from Manila. Balanga, its capital can be reached within 2-3 hours depending on traffic or whether taking private or public transportation. Sunset from Barangay. Took this photo on a solo hike up the grotto on December 2015. Check out this list of hiking and bike trails, plus other destinations and tips on where to go in Bataan! I also want to share that other than the places itself, I am also promoting responsible outdoor travel, the core of which is in this old quote, "Take nothing but pictures, Leave nothing but footprints, Kill nothing but time." I'm sharing information with high hopes that you'll visit these places and gain more appreciation for nature and respect for people, places and fellow travelers. Tarak Ridge (Brgy. Alas-Asin, Mariveles) - this old and frequented hiking destination is part of Mt. Mariveles and takes 5-6 hours to reach. 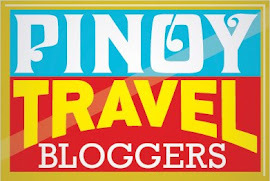 Its main draw are the stops to Papaya river (where you can dip in its icy water) and the ridge's scenic view of Corregidor and other nearby islands. (Itinerary here.) From the campsite at the ridge, there is a peak 30 minutes away offering views of other sections of Mt. Mariveles. Pantingan-Tarak Traverse (Brgy. Saysain, Bagac to Brgy. 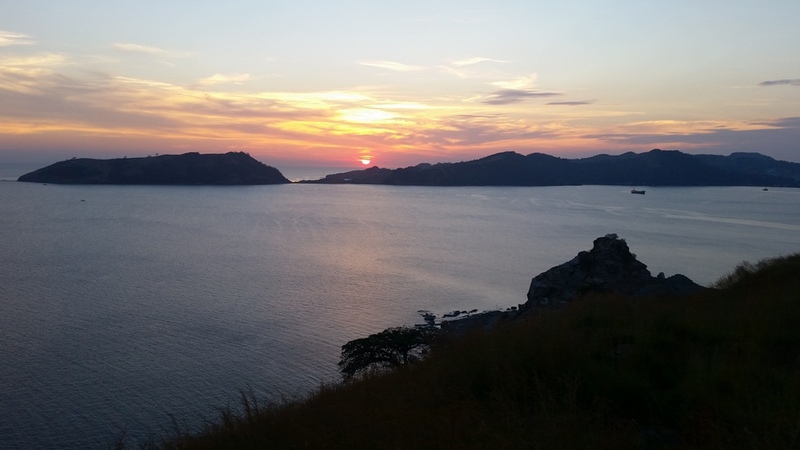 Alas-Asin, Mariveles) - this one's on my bucketlist! 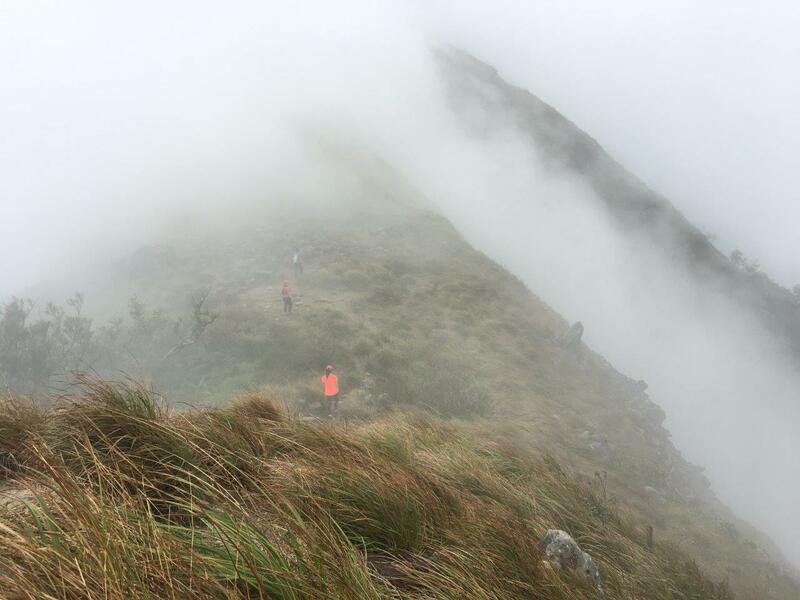 If you're physically and mentally prepared and looking for a grueling day or an overnight hike, try this route which combines Pantingan Peak, the highest peak of Mt. Mariveles and Tarak Ridge. Local hikers refer to this route as PanTarak. Check out a friend's account of their day hike which took them 20 hours to complete. (Blog here). As an alternate, Pantingan Peak can also be your main destination that can be completed as a very long day hike that would take about 11 hours to finish. You can also spread it out in a 2 day itinerary. Itinerary here. Mt. Natib (Brgy. Tala, Orani, Bataan)- Classified by PHIVOLCS as a potentially active volcano, you will find lots of big rocks and thick flora along trail, but no fumaroles. It is notorious for its steep trails to the summit that'll take about 3.5-5 hours to reach (depending on the group's pace) and limatik-infested trail (leeches). A side trip to Pasukulan falls (information below) can be combined with a hike to Mt. Natib. Itinerary here. Group shot at the summit of Mt. Natib taken during our hike in 2013. Photo from pinoymountaineer.com. San Miguel Peak (Brgy. 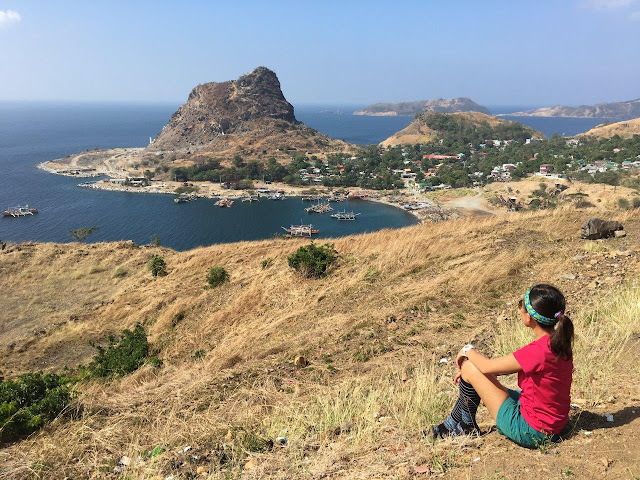 Sisiman, Mariveles) - located in the coastal town of Sisiman, the hike to its peak, though a bit steep takes only about 10-15 minutes. At the top, you can catch a glorious view of the sunset, see Mariveles Bay, Corregidor island, Sisiman lighthouse and the town of Mariveles. (Travel Reminder : Take your trash down with you. No one's going to pick it up after you. ;)) Just beside San Miguel peak, there is another trail leading to a grotto, offering a different vantage of the town and its nearby islands. The hike up also takes 10 minutes. Guides are not required. After your hike, you can also take a sidetrip to Sisiman lighthouse. The area near the shore is also great spot to watch the sunset. The entire barangay appears to glow during the golden hour, a very relaxing sight! 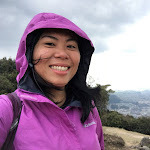 For more information on San Miguel Peak, check out this very helpful post from Filipina Explorer. A view of San Miguel peak (that hill on the left) from the side of the road. A beautiful hat-shaped mountain, it turns into a pilgrimage spot for Catholic devotees during Holy Week. It takes about 2.5-3 hours to get to the peak if starting all the way from Barangay Payumo in Dinalupihan. As of this writing, there is no established guide system and no registration fee is required. The trails can be confusing as there is a community near the base of the mountain so some trails either lead to a hut or a farm. Hiring a local guide is recommended. You can inquire at the barangay hall in Payumo. A fair amount would be 250 Pesos per guide. The trail is not technical although steep and can get slippery if the soil dries too much. Bring something to cover your nose. Notes : Hiking time mentioned on this post are the average time. Ultimately, your own hike would depend on your level of fitness and your group's pace. To maximize your hiking adventure, it is recommended to train before a hike. Train harder if it's a major hike for your own safety and the group's. 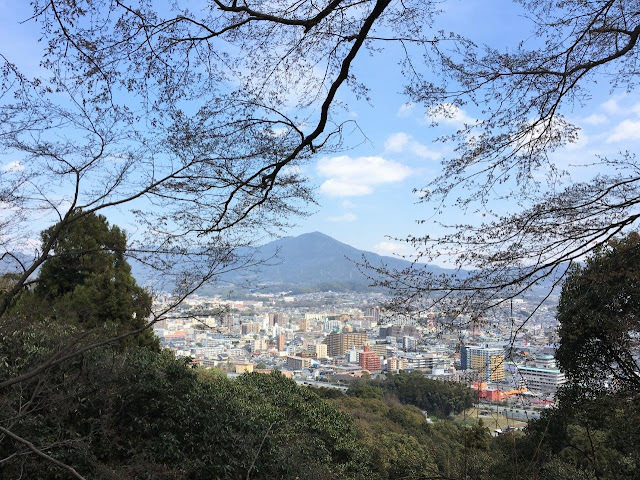 Some ways to prepare for day hikes are stairs climbing (some do it with a backpack but be careful not to injure your back), running or using an elliptical machine, 3x a week for at least 30 minutes. Swimming is also good but you also need to do some running so you can work on your knees. If you're doing multi-day hikes, training with weights would also be helpful. Travel Reminder : If nature inspires you to hike or travel, help preserve what Mother Nature has to offer. Leave no trace. Don’t write on rock formation or tree trunks. This is an eyesore and a selfish way of leaving a mark. Ambon Ambon Falls & Limutan Falls (Bagac, Bataan) - Limutan is a small falls, approximately 20 meters in height. It is frequented by locals on weekends. If you have a 4WD, you can park close to the jump-off that will cut your hiking time. I saw visitors bringing beer cases to its base. :P The basin is small and can accommodate about 10-15 people. Ambon Ambon Falls on the other hand is taller, about 60 meters yet the basin is small, can comfortably fit less than 10 people and the water goes only up to my waist (I'm only 4'11 feet tall). 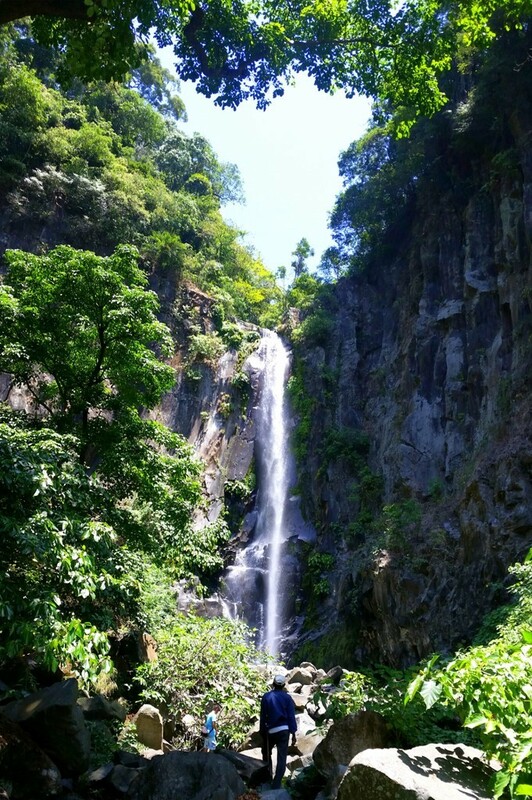 When we went here, we first went to Ambon Ambon Falls which was a 2.5 hour hike from where our van dropped us. Taking a shortcut, it took less than an hour to get to Limutan Falls. 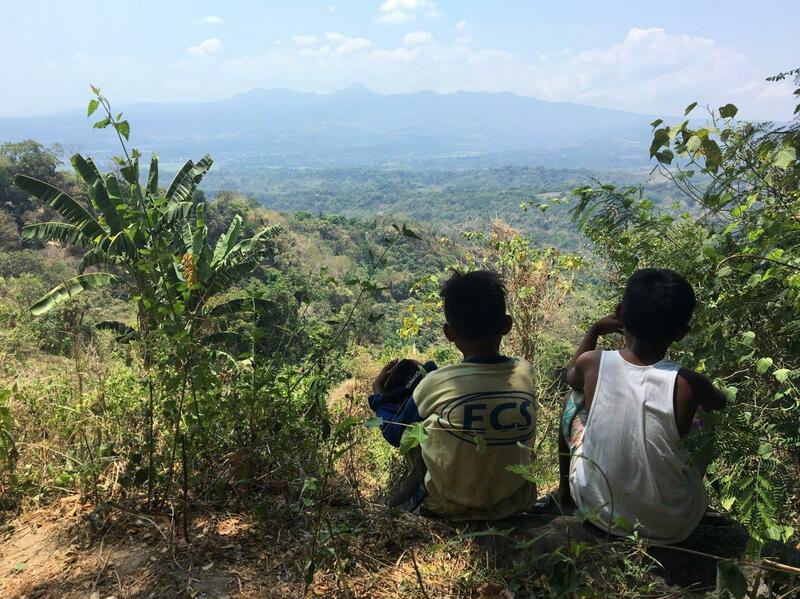 Check out Love Mindanao's account of our hiking adventure last April 3, 2016. Pasukulan Falls (Abucay) - another hiking trail on my list, specifically for its lush trail. For more information, check out this post from Turista Travels . This can be your main destination or a side trip after hiking Mt. Natib. Dunsulan Falls (Pilar) - located at the foot of Mt. Samat, this 9-meter falls is a gentle hike. Aside from bathing, other activities include riding a 540-meter zipline and horseback riding. Check out GMA's video feature below. Responsible Travel Tip : Bring your own trash bag or dispose your waste properly. Bataan's infamous bike trail is the Killer Loop. Art Fuentes of Outside Slacker, provided this description of the route, "technical climbs, flowy descents, bone-rattling downhills, fantastic views of mountains, rolling hills and seas– the Killer Loop has got it all. "Check out the rest of his review on his blog, Outside Slacker. For information on mountain biking in Bataan, check out think link. You may also get in touch with Bataan Trailriders and Adventurers Network on Facebook. Las Casas Filipinas de Acuzar (Brgy. Pag-asa, Bagac)- recommended for architecture and history enthusiasts, this heritage park and convention center, provides a glimpse of 18th century Philippines, showcasing about 40 intricately reconstructed heritage houses. Guided day tours start at 1,500-2,00 Pesos net/person depending on the inclusions. Spending a night or two is also highly recommended albeit justifiably expensive. (Rates range from 6,500 Pesos-150,000 Pesos/night depending on room or house). Overnight packages are also available. For reservation and additional info, visit their website. 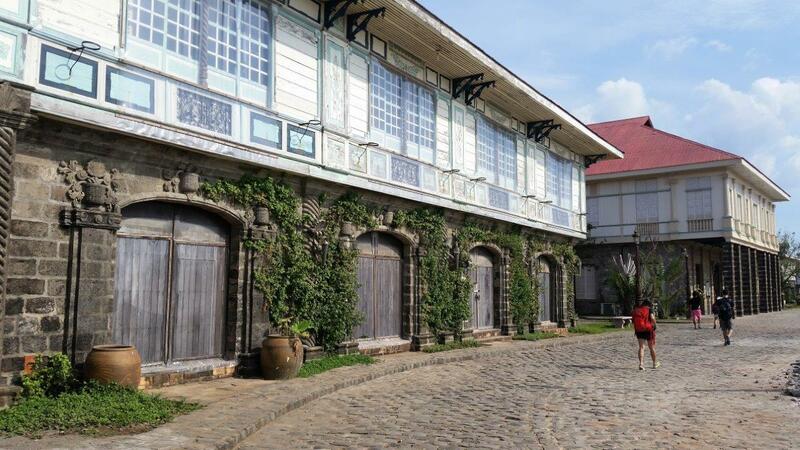 How to get to Las Casa Filipinas de Acuzar? Due to its location in Bagac, bringing a private vehicle is recommended. Using public transpo is also doable but tiring and involves several transfers, commuting directions are on this blog. 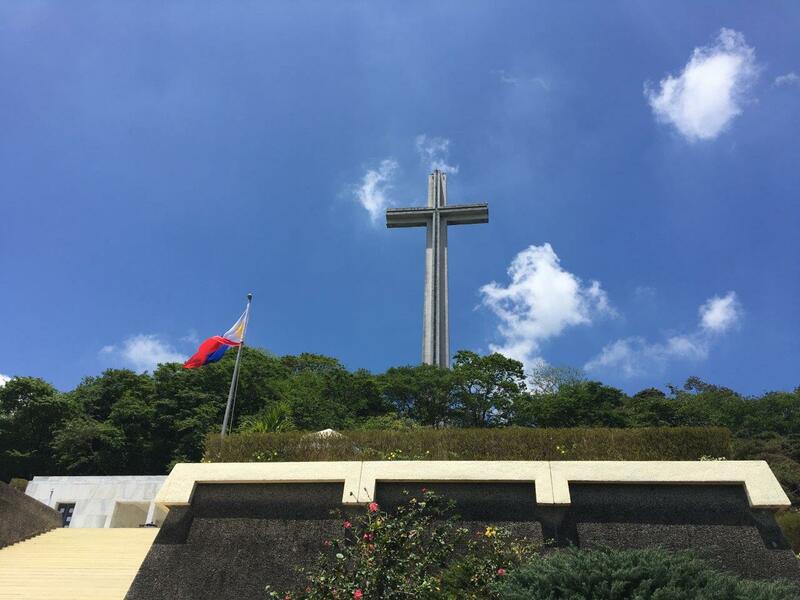 Completed in 1970, this mountaintop memorial is dedicated to the American and Filipino soldiers who fought during World War II. The shrine consists of a 92 meter memorial cross with a viewing gallery and a colonnade, esplanade and war museum. The location itself, carries a historical value. Mt. Samat was one of the battlegrounds between Filipino and American soldiers against the Japanese Imperial Army. Today, it serves and offers sweeping views of other municipalities, nearby mountains and the West Philippine sea. For more photos and info on Mt. Samat, check out this post from Lakad Pilipinas. Click here. 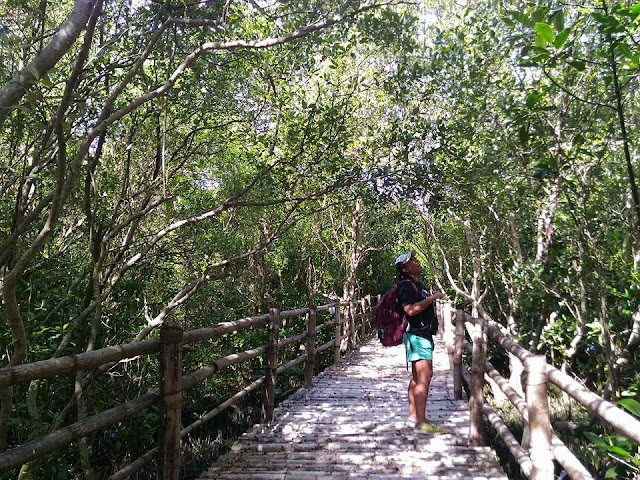 Balanga Wetland and Nature Park (Balanga) - consists of a mangrove trail and also considered a good area for birdwatching (Come early in the morning). My first visit here in 2015 ignited my fascination with mangrove forests. Did you know that mangroves are home to fish, crab, shrimps and mollusk species? It also protects the coast from erosion brought by waves and storm by trapping sediments from rivers and land (Source : WWF). Entrance Fee : 5 PHP! Commuting directions and additional information on Filipina Explorer. 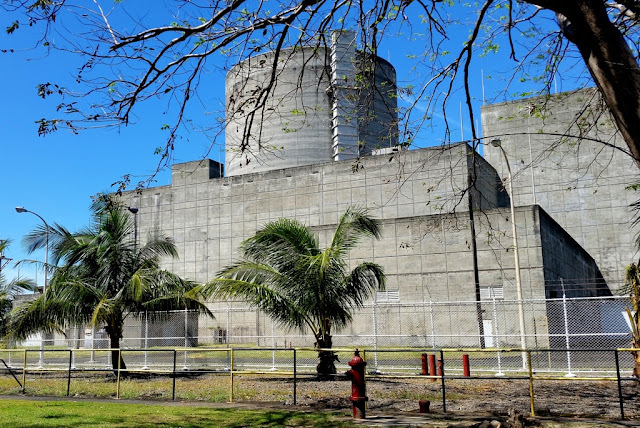 Bataan Nuclear Power Plant (Napont Point, Morong) - the Philippines' first and only nuclear power plant was completed in 1984 but never operated due to the government's decision to mothball the project when the 1986 Chernobyl disaster in Ukraine happened. (Source : Interview by Telegraph.co.uk to Mauro Marcelo Jr.) By law, NAPOCOR is mandated to maintain and preserve the facility, which is now open to visitors and for educational tours. Advance coordination needs to be arranged with NAPOCOR. Contact details at the NAPOCOR website. Pawikan Conservation Center (Nagbalayong, Morong) - run by volunteers from Bantay Pawikan Inc., whose chairman was a former Pawikan egg hunter turned savior of these endangered species. There are about two rescued pawikans that are under their care that can be viewed by visitors. More turtles can be seen around November-December, when the turtles who were born here come back to lay their eggs. The Pawikan festival is held annually every last week of November as a means to promote awareness and help raise funds for the organization's conservation efforts. Byahe ni Drew also posted an itinerary here.